PATRIOTIC Front (PF) secretary-general Wynter Kabimba has appealed to Zambians not to lose hope as the party will deliver on its promises. Mr Kabimba said the coming of the PF to power was just the first step in restoring dignity to Zambians. He was speaking in an interview on Monday. “We are conscious of the challenges the Zambian people are facing. 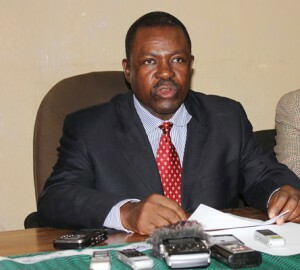 Our appeal is that they must not lose heart now because they have come a long way,” Mr Kabimba said. Mr Kabimba said the PF will not disappoint the Zambians but will deliver on all its promises. “Our members have remained faithful for 10 years and the PF will not let anyone down. We have just come into power,” he said. Mr Kabimba also appealed to the opposition to co-operate with the government, as it tries to make the economy better and create jobs. “Anyone who means well for this country will co-operate with this government, so that it delivers development to everyone,” he said. Mr Kabimba said the PF under the leadership of President Sata is offering selfless service to people. “The redemption of this country lies in the PF and I call upon everyone to support this cause,” he said. And Mr Kabimba said the PF runs an all-inclusive government, which is why it embraces the opposition. He said at no time has the PF tried to buy off the opposition. “Chipimo and Nawakwi are not singing praises for Sata. They criticise Government and do so responsibly,” he said.